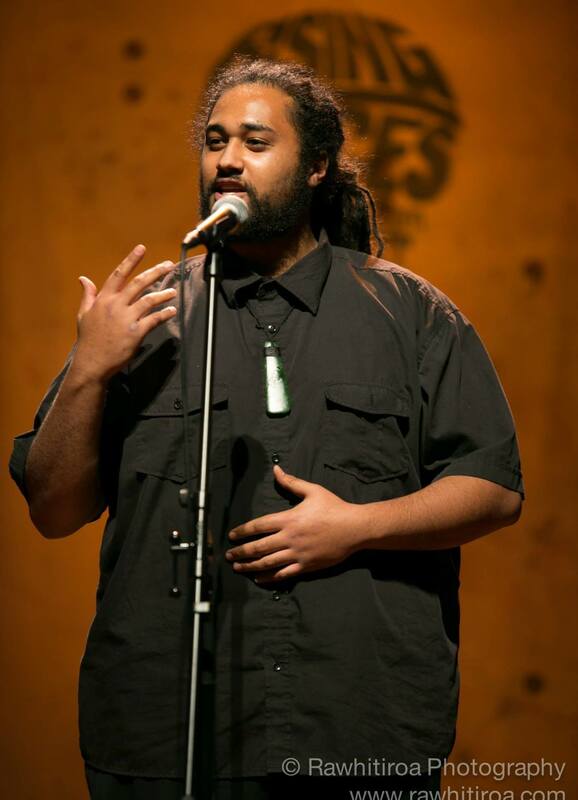 Te Kahu Rolleston (Ngāti Ranginui and Ngāi Te Rangi) is a spoken word poet and performer known nationally and internationally and the winner of a number of awards. His compositions are in Te Reo Māori and English and he is inspired by generations of orators, haka, waiata and Ngā Manu Kōrero. 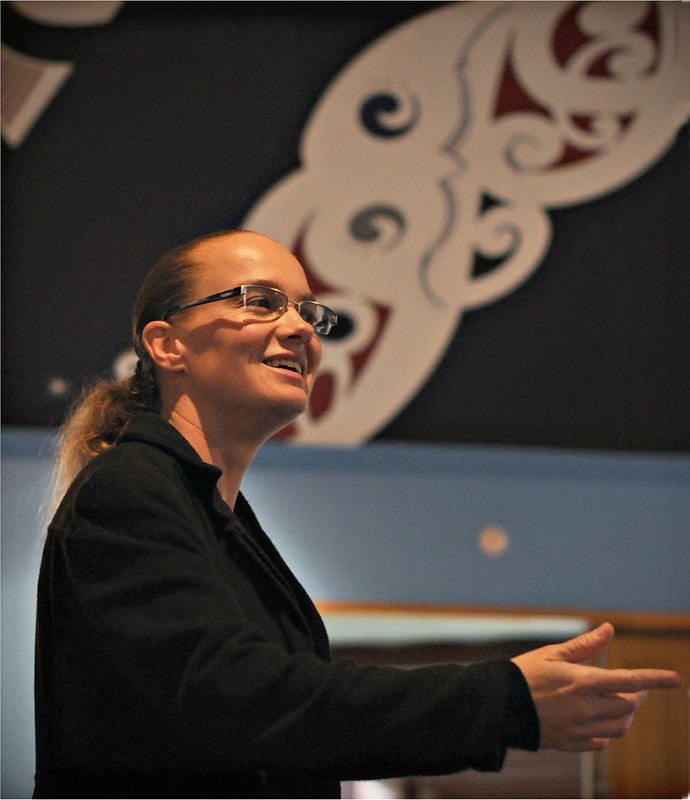 Jacqueline Carter (Ngāti Awa, Ngāti Maru, Ngāi Te Rangi and Pākehā) is a composer, poet, singer and teacher aide, as well as a member of Te Hā Contemporary Māori Writers and its Auckland regional group Te Hā ki Tāmaki. 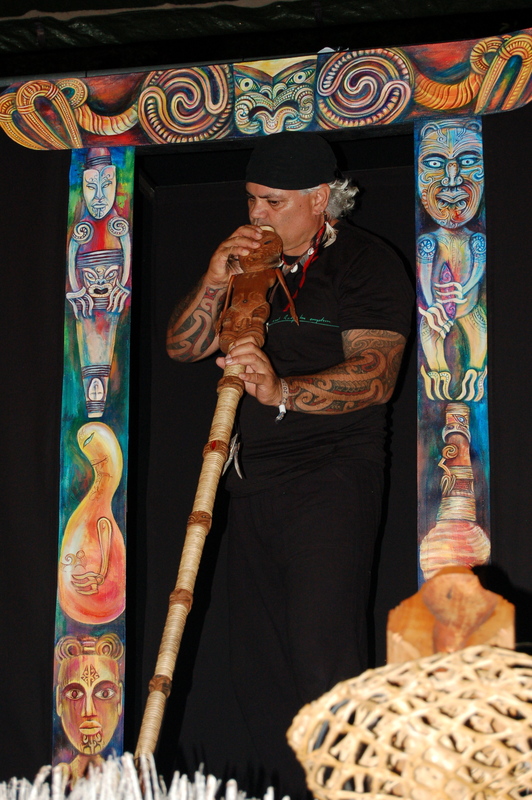 James Webster (Tainui, Te Arawa and Pākehā) is a maker and player of taonga pūoro (traditional Māori musical instruments) as well as a tā moko (traditional body art) practitioner, multi-media artist and kai whakairo (carver). He has performed and played both the taonga pūoro and the karetao (traditional “puppets”) nationally and internationally and in a variety of settings, as well as exhibiting his artwork and doing tā moko. James and Jacqs have come together again, after several years of doing their own thing, to perform a range of original compositions, and gratefully supported by whānau and friends. We hope you enjoy – Ngā mihi o te wā nei! Ko te hokinga mai o Matariki, ko te whetū o te tau, he tau pai te tau, hē tau ora te tau, tihei mauri ora!